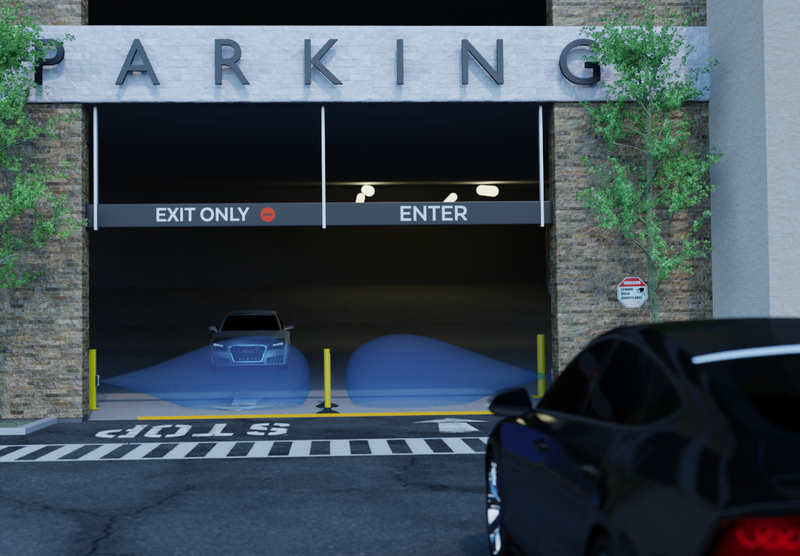 Above ground sensors can be used to detect and count vehicles for activating doors and barriers without disruptive ground work installations. Optex is to launch a new series of highly reliable and very easy to install vehicle sensors in Europe Middle East and Africa (EMEA) at Intertraffic being held between 20th and 23rd March in Amsterdam, The Netherlands. The above ground ViiK vehicle detectors are ideal for sites where ground loops cannot be installed, such as where the road surface is damaged or unsealed, paved with cobblestones, or above drains or pipes. The OVS-01GT detects the presence of small or large stationary or moving vehicles within 5.5 meters while ignoring human traffic. It is easy to install; unlike ground loops, no civil works are required as the device is mounted at about 500mm from the ground. The OVS-01GT connects to an automatic gate, barrier or industrial door operator, and includes menu programming, five sensitivity settings and five human cancelling selections, all with one-button calibration. It suits simple gate activation applications as well as being part of state of the art parking systems. Jacques Vaarre, Managing Director for Optex EMEA, says that after having successfully launched the new range of vehicle detectors and counters in Japan and in North America, the company is delighted to introduce the ViiK range to the EMEA market at Intertraffic: “It gives users a viable choice over traditional ground loop sensors; both models are highly reliable and very easy to install. By choosing an Optex detector, you are losing none of the performance, but gaining all of the benefits by not having to dig up the roads or disrupt traffic,” he said.